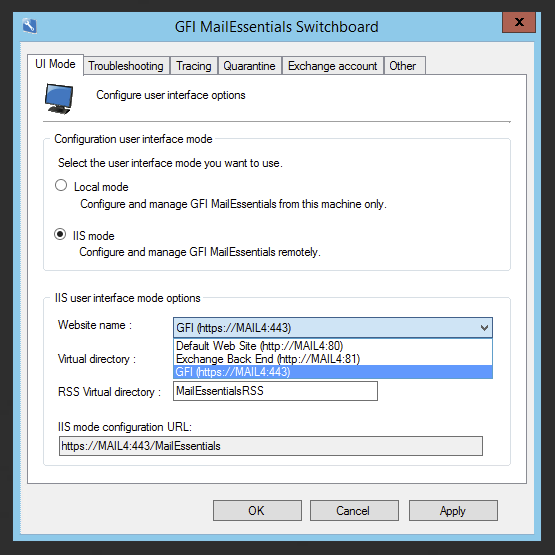 GFI MailEssentials 20 make the installation straight forward pressing Next most of the times and answering basic questions about Microsoft Exchange configuration. 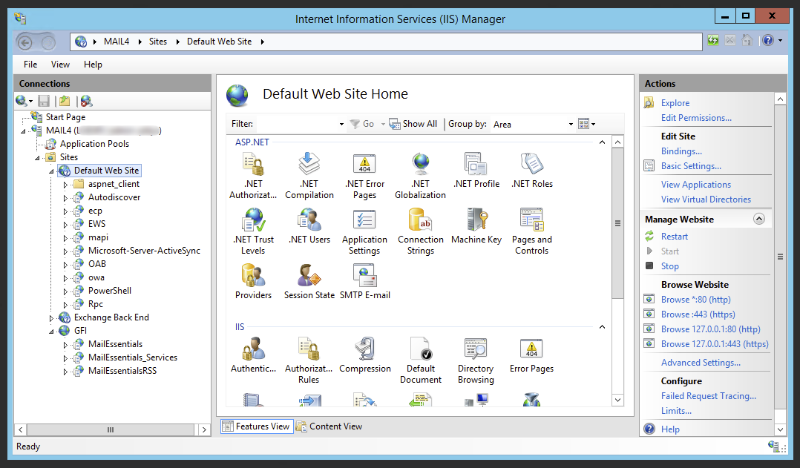 However that basic configuration usually deploys into Microsoft Exchange IIS website which sometimes is not enough and we need to move MailEssentials to different IIS website to be able to fully control behaviour of IIS settings for this instance. 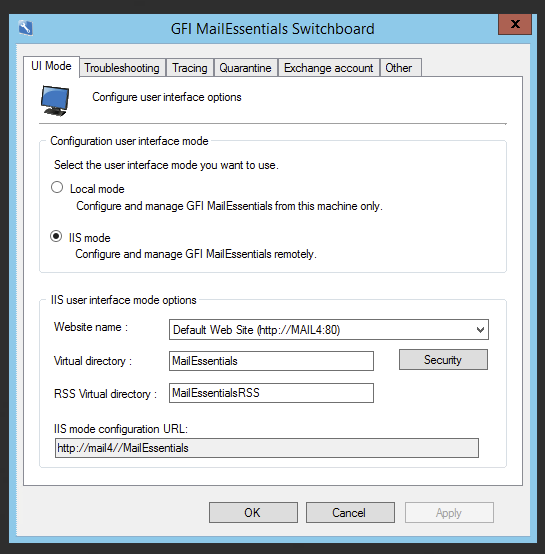 But if you want to configure MailEssentials under additional name such us https://spam.domain.com instead of using standard Exchange configuration and asking users to access https://mail.domain.com/MailEssentials it's best to move GFI product to it's down site and configure proper redirections. 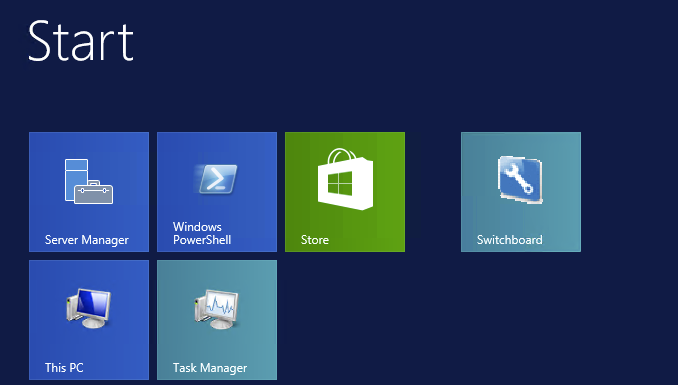 Fortunately GFI provides a nifty tool called Switchboard that does that job for you. 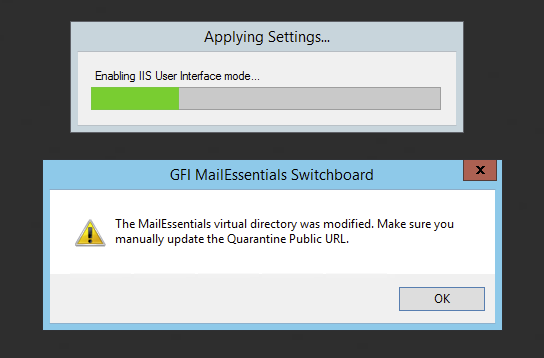 Before we can move GFI MailEssentials folders to different Site we need to create one. 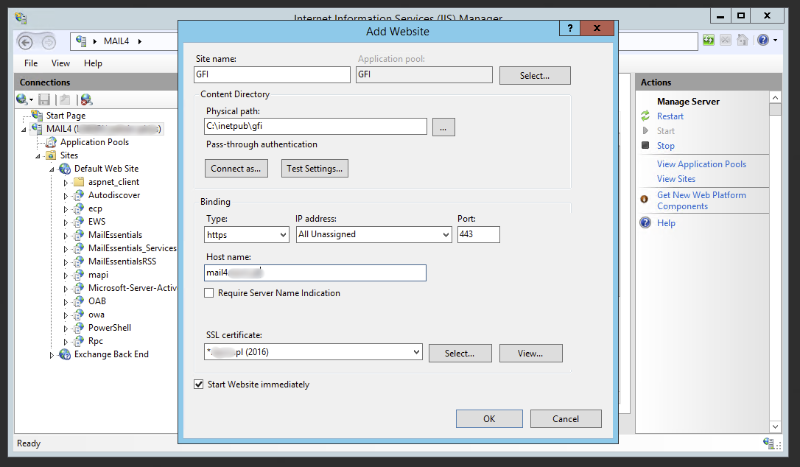 Make sure to type in new Site Name, choose physical path and configure bindings. Since we already have Default Web Site running on 443 port we need to make sure that we put the proper Host Name and choose valid certificate. Make sure the physical path exists. 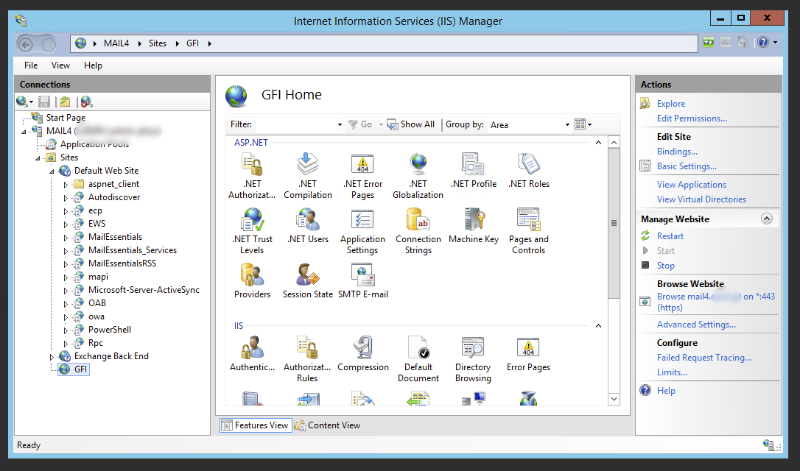 After pressing OK a new site is created under Sites section called GFI. At this moment we're ready to start Switchboard. It doesn't look like GFI product, or doesn't show up under GFI but searching for Switchboard shows it up. By default the starting screen is at its defaults. 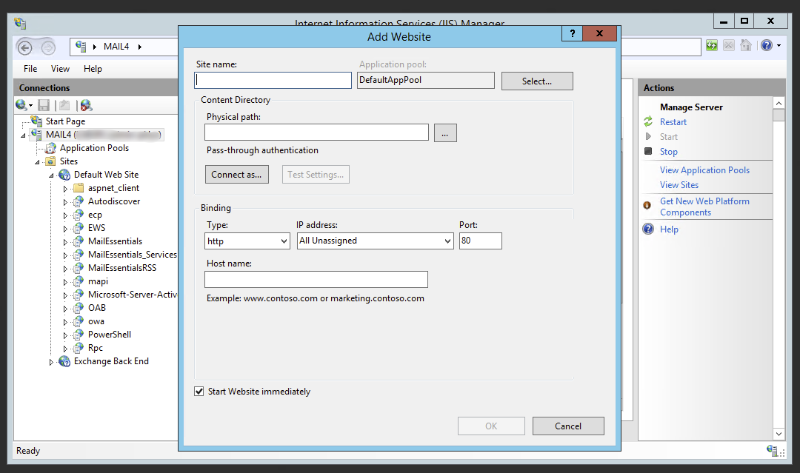 All we have to do now to move MailEssentials between sites is choose new Website name from the list and choose Apply. 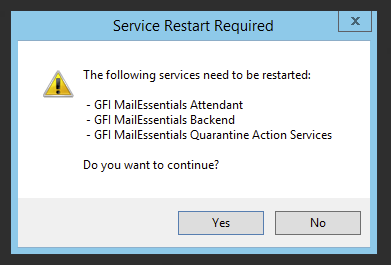 After pressing Apply we need to confirm that GFI services will need to be restarted and the process starts. 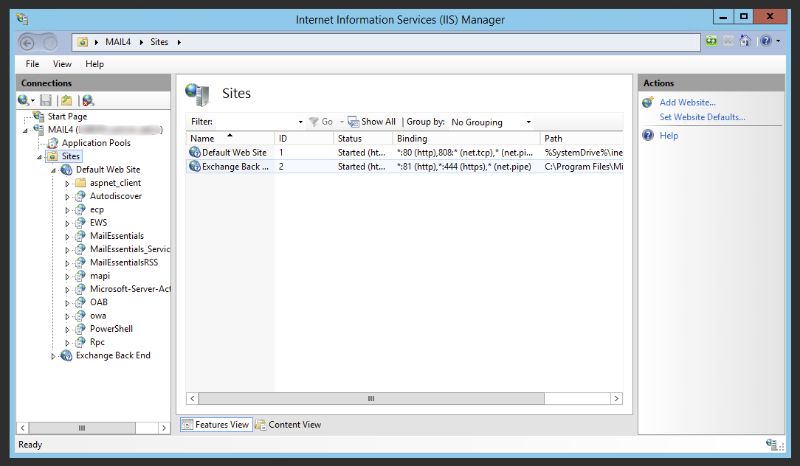 First services are stopped, then the process of moving IIS entries starts after which a reminder to update Quarantine URL is shown. 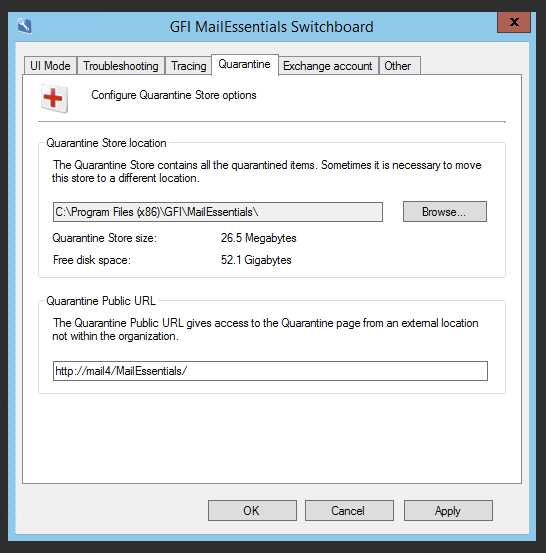 Changing GFI Quarantine URL is required so that when users get email with quarantined emails the links inside work as designed. Changing quarantine can be done from the very same Switchboard app on the Quarantine tab. 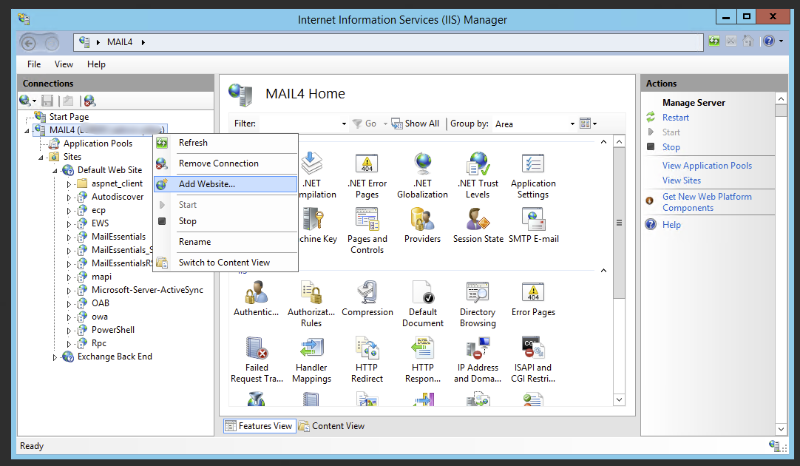 After that we can see changes in IIS where after brief verification of configuration we can see MailEssentials, MailEssentials_Services and MailEssentialsRSS have been moved properly. Finally checking the URL in the browser gives us the answer we've waiting for. It's working! Please keep in mind that in Multi-Server setup it only makes sense to change it on Primary Quarantine server.